I really cannot believe I had never prepared my own Sushi until today. I do like to buy the odd little tray from Waitrose or Marks and Spencer for my lunch If I am out and about and I like most of them. 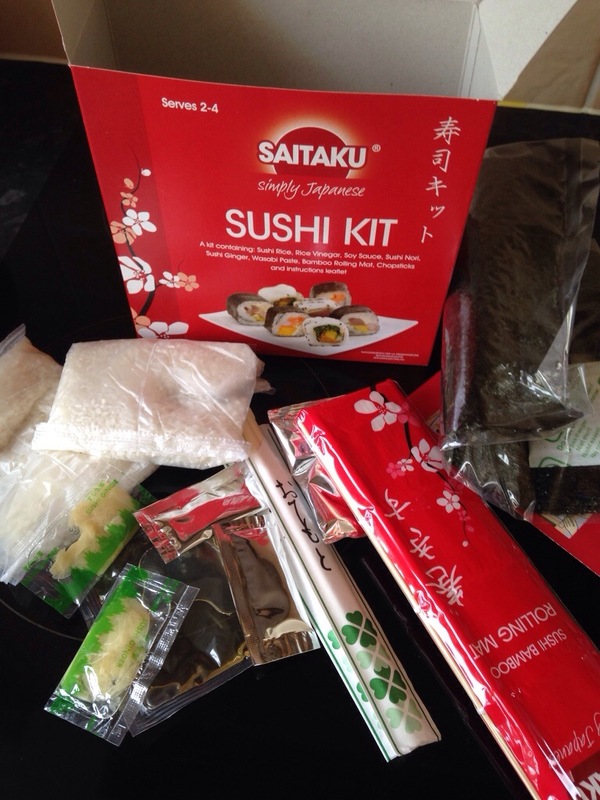 I started buying all the ingredients separate but when I saw this Saitaku kit it kind of simpliyed my life as a sushi making novice. Plus it was on a half price offer (£3.49) I couldn’t resist. The kit serves 2-4 and it comes with everything you need, including a Bamboo rolling mat and chopsticks. 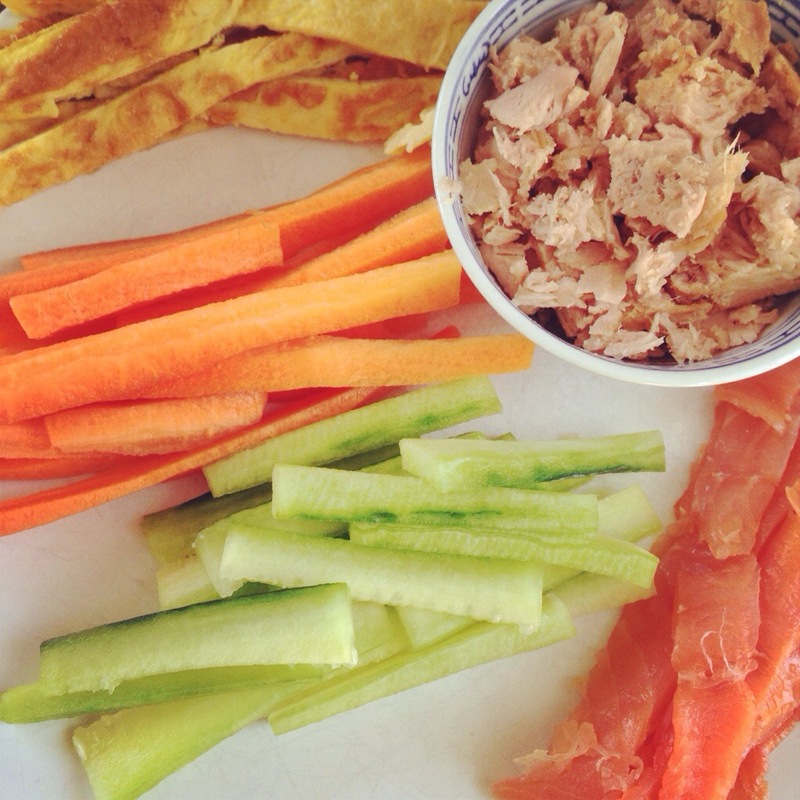 I used carrots, cucumber, salmon, tuna and sesame flavoured omelette. And it is pretty simple really, you do have full instructions (with pictures) inside the kit. 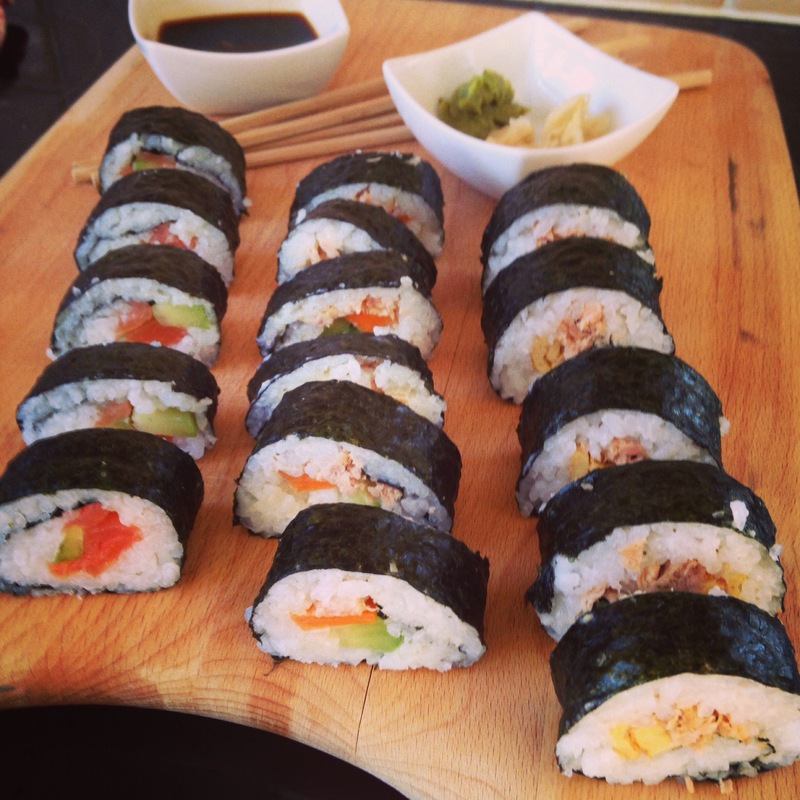 This entry was posted in catering, cooking, eating out, food, health, home, home cooking, kitchen, love, nutrition, raw food, snacks, vegan, vegetarian and tagged food, japanese, sushi. Bookmark the permalink.